The largest gift of rare books in recent memory arrived this weekend with the 2017 Yale Law School Alumni Reunion. The Lillian Goldman Law Library was honored to receive the collection of early English law books assembled by Professor Robert H. Freilich. He made the gift to mark the 60th anniversary of his graduation from Yale Law School in 1957. Bracton’s De Legibus et Consuetudinibus Angliae (1569). Coke’s Institutes, First Part (1639), Second Part (1671), Third Part (1648), and Fourth Part (1648). Coke’s Three Law Tracts (1764). Coke’s Reports, Fourth Part (1604), and Quinta Pars (1607). Fitzherbert’s Novel Natura Brevium (1635). The opportunity to begin collecting early English law presented itself in London several years later, when Freilich was a visiting professor at the London School of Economics. 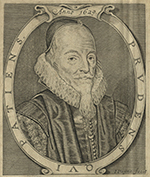 He came across Frognal Rare Books, operated by the late Lady Edith Finer, and began buying the most significant early works on English law, especially land law. As a Professor of Law at the University of Missouri-Kansas City, Professor Freilich taught the three branches of property (Estates and Future Interests; Transactions; and Land Use) from 1968 to 2004. Since moving to Los Angeles in 2005, he continues to teach separate courses in Future Interests and Land Use at the University of Southern California Gould School of Law as a Visiting Professor. His publications include Land Use: Cases and Materials (7th ed. 2017) and From Sprawl to Sustainability: Smart Growth, New Urbanism, Green Development, and Renewable Energy (2nd ed. 2010). The Lillian Goldman Law Library is grateful for Professor Freilich’s splendid gift, and eager to place it at the service of the Yale Law School’s legal history curriculum. Professor Robert Freilich (far right) talks to his classmates from the Yale Law School Class of 1957 about the collection of early English law books he donated to the Lillian Goldman Law Library.